A literary journal mimics an infant in the Dark Ages in that it has a short life expectancy and is likely poor. In spite of this standard, many periodicals are fortunate enough to grow up. With this in mind, the Bryant Literary Review celebrates its tenth anniversary. In ten years, we have published many poems and stories, but perhaps the most notable submissions were those not published. We have received poems on graph paper and post cards, as well as a laminated, pocket-sized poem. Other notables include a “bonus poem” included as part of a cover letter which explained the absence of a self addressed stamped envelope, pictures of a squirrel, and one postcard from an angry submitter with vulgar instructions in Italian. (At least he had the politesse to use a postcard made of recycled paper.) These submissions have made our history as vibrant as the literature we publish. Our ten years have only been possible through the generous support of The Woonsocket Call, The Pawtucket Times, the Bryant University Division of Academic Affairs, and the Faculty Development Center. 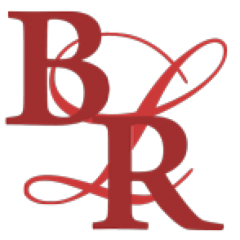 The Bryant Literary Review also would like to extend its sincere thanks to every one of our hundreds of contributors over the years; your courageous creativity gives each volume meaning. On a personal note, I would like to thank Professors Tom Chandler, Tad Davies, and Thom Bassett, as well as the rest of the BLR staff. It has been a pleasure to forage with you in the pursuit of good literature. Human history persists through the written word. Every literary artifact contributes to humanity’s collective consciousness. The thoughts we record and share today will continue to animate ideas in the minds of others, long after our bodies decay. 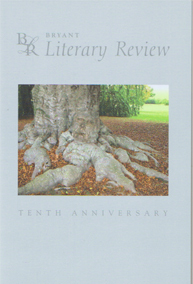 The Bryant Literary Review is proud to celebrate a decade of service to the world of literature and looks forward to many more.